Resin’s stability continues to reach new heights with increased deployments! As of this newsletter, bugs.caucho.com reports only 1 open bug and 2 feature requests. We are focusing this newsletter on migrating from Resin 3 to Resin 4. Both versions are included with your Resin Professional license. If you are already using Resin 4, feel free to scroll down to the release notes. Migrating to Resin 4.0 provides the advantage of the most secure, stable and feature packed version of Resin available. It features an underlying architecture that results in competitive business advantages. Resin 4.0 is dynamic by nature, so portions of a cluster or application can be upgraded or patched without interruption to end users. This means the application grows and scales as demanded by end users. As microservices and continuously deployed apps continue to dominate the landscape, Resin 4.0 provides developers with extended command line and admin capabilities for deploying, monitoring, and upgrading with ease and precision. High availability configured by default to get you up and running in Amazon EC2, Azure cloud, or your own private cloud in minutes. Recently, we worked with users on Resin 3 to 4 upgrades and a 4.0.10 to 4.0.56 upgrade. While there were some initial questions surrounding Resin 4.0 new configuration and CDI capabilities, total migration time took only 3 weeks and needed only email correspondence. If you’re already licensing Resin, the upgrade is free! All you have to do is download the latest version at http://caucho.com/products/resin/download. You’ll have access to a version of Resin that has benefited from thousands of deployments, decades of feedback and a fast release cycle. And with only one open bug, you will be migrating to a proven solution with thousands of deployments. As a thank you to Resin users, if you’re using Resin 3.0, 3.1 or an early version of 4.0, then it’s time to upgrade. Be the company hero by pro-actively upgrading your entire system with the performance and enhanced features of the latest version of Resin. Caucho engineering is offering complimentary engineering migration support to Resin 4.0.56. Our goal is for you to experience a seamless and successful upgrade to Resin 4.0.56+ and operate with unsurpassed stability. For more information, contact Alexandra Garmon at garmon@caucho.com. With Resin 4.0.57 ironing out the last of our Java 9 related bugs, the next version of Resin will focus on Java 10 additions. - 0006121: Logging initialization issue on JDK 9 with scripting. 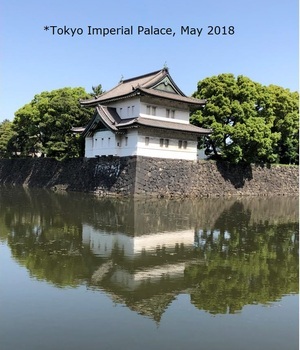 ​Our CEO Steve Montal traveled to Tokyo in May to meet with our partners NTT Data Intramart, http://www.intra-mart.com, who we have been working with for almost 20 years. Intramart has been the #1 BPM workflow software in Japan for over 10 year and over 6,000 Intramart customers are deployed on Resin. Intramart’s “Open & Easy” concept provides flexibility, scalability and development productivity to thousands of users, including some of the largest companies in the world. Recently we’ve held a number of conference calls discussing health monitoring in Resin. As an integral part to Resin 4.0, the /resin-admin app can be used to monitor your Resin environment. With such low overhead, it’s recommended to be ran in every production site. JDK, OS, license information, & more! By default access is restricted to internal networks but /resin-admin can be configured for usage over a secure connection. For questions or feature enhancements email wiley@caucho.com. This entry was posted in Newsletter on June 15, 2018 by Sean Wiley.